Can anyone ID this vehicle? Army? Added by Admin on 24 December 2011. Humber (Snipe?) staff car. 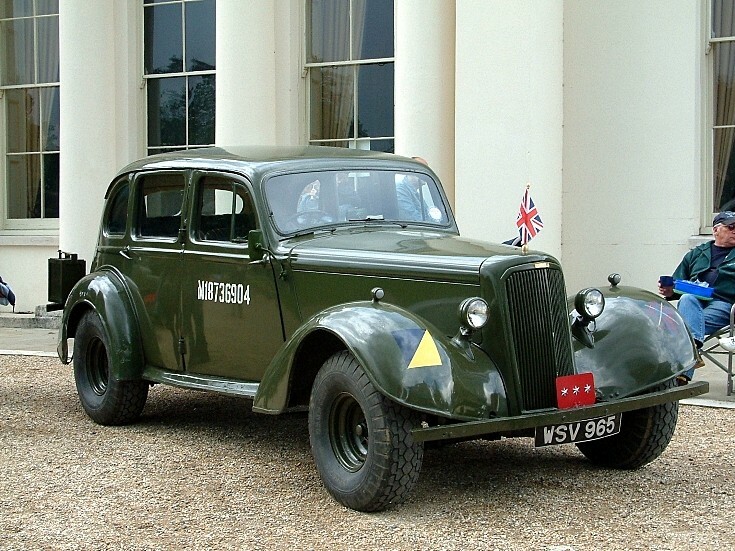 VRN is British civilian (ie a preserved vehicle in private hands). the number on the door is a British military registration number used during WW2. The Tactical signs are for an Army Group, with a Royal Army Service Corps flash (blue & yellow), unfortunately without a number! The red "star" plate indicates a Lieutenant-General. Added by Roger Greenaway on 24 December 2011. Added by Antoon de Lepper on 17 July 2012.